An official with New Jersey-based NRG Energy reiterated this week that its Waukegan Generating Station will continue to function as a coal-burning plant indefinitely despite ongoing calls by local environmental groups for the company and the city to publicly detail long-term plans for the lakefront site. More than two dozen members of Clean Power Lake County and the Sierra Club attended last week's City Council meeting to present what they said were more than 2,000 petitions signed by Waukegan residents calling for a task force to study options for plant operation and future land use. In related news, Santa Claus released his post-holiday audit. The ledgers show a significant uptick in lumps of coal delivered to stockings in Lake County. That's all your LakeCountyEye has. Now dash away, dash away, dash away all. In Waukegan, he will be instantly recognized. He has white hair. He has a white beard. He has been sent out into the cold and goes ring-ring ring-ring ring-ring ring-ring ring-ring. If you guessed the Salvation Army Santa, give yourself a lump of coal. 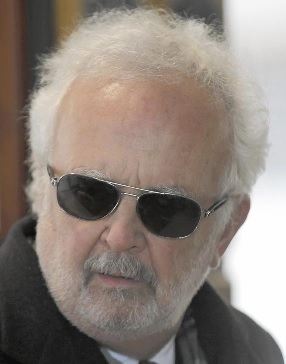 The correct answer is former Lake County State's Attorney (and a founding member of the Waukegan Emergency Telephone System Board) Michael Waller. Waukegan Mayor Wayne Motley has announced that former Lake County State's Attorney Michael Waller — one of the founding members of the city's Emergency Telephone System Board — will not be reappointed to another term. Both Waller and Motley said this week that the decision was unrelated to criticism Waller has faced in light of several disastrous prosecutions. It is not known if Waller plans to file a lawsuit against Lake County for wrongful eviction. Your LakeCountyEye will keep you apprised when further developments warrant. 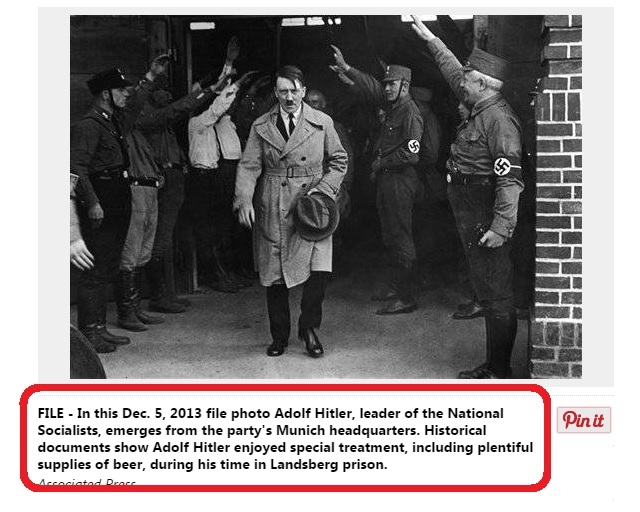 "FILE - In this Dec. 5, 2013 file photo Adolf Hitler, leader of the National Socialists, emerges from the party's Munich headquarters." It should be noted that Mr Hitler has been looking very relaxed in more recent file photos. Small wonder, he commands a comfortable double-digit advantage in all the presidential polls. 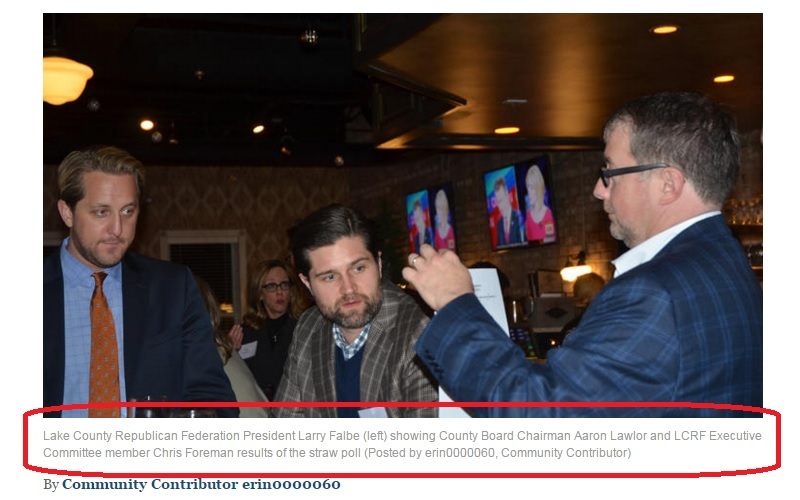 "Lake County Republican Federation President Larry Falbe (left) showing County Board Chairman Aaron Lawlor and LCRF Executive Committee member Chris Foreman results of the straw poll (Posted by erin0000060, Community Contributor)"
Your LakeCountyEye would be remiss not to note that Lake County Republican Federation President Larry Falbe (left) never looked better. Photographic proof that a December tan, facial scruff and shredded physique are guaranteed to turn any bean counter into the chairman of the board! 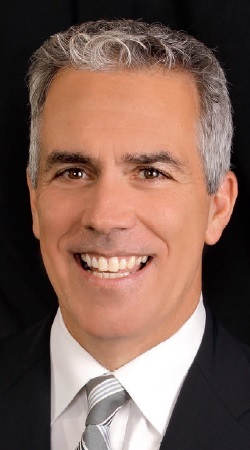 GOP Senate hopeful James Marter of Oswego announced the endorsement by Curran on Tuesday. "Mark Kirk may have spent significant time attending to the needs of the Cook County law enforcement, but has done nothing for the Lake County sheriff's office," Curran said in a statement. The comment drew a swift rebuke from Lake County Board Chairman Aaron Lawlor, who backs Kirk. As of this posting, Mark Curran has not switched his endorsement of James Marter to someone else. But your LakeCountyEye will keep you apprised when further developments warrant. The Amstutz Expressway in Waukegan is scheduled to be shut down from 9 a.m. to 11 p.m. Monday for the filming of a TV commercial, another in a series of temporary closures of the roadway over the years by film productions. Local residents were polled for their reaction, and were asked: "How do you beat the rat race in Waukegan?" One public servant told the pollster "with a tire iron." That's all your LakeCountyEye has. Beat it. The U.S. Supreme Court's refusal Monday to take up a challenge to Highland Park's ban on assault weapons protects similar restrictions in Chicago and other parts of Illinois and sends a message that municipalities have the right to determine how to best protect their communities, according to legal experts. The lack of action was a blow to the National Rifle Association and other pro-gun advocates who had hoped the high court would issue a ruling that once and for all clarified whether weapons such as AK-47s, AR-15s and Uzis are protected under the Constitution. When the issue is a blow of any kind, your LakeCountyEye immediately thinks of Dr. I.M. Bhatschidtkhrazzi, Ordnance Professor at the College of Lake County. "The Supreme Court just kneecapped their holiday celebration, over in Highland Park." said Dr. Bhatschidtkhrazzi. "Everyone gathers at Port Clinton Square on New Years to fire their AR-15s." Your LakeCountyEye was under the impression this was a safety concern. "Safe for the terrorists, maybe." grimaced Dr. Bhatschidtkhrazzi. 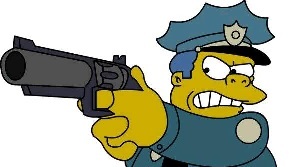 "The word on the street is that Highland Park has been disarmed. I've heard that the terrorists have all the B&B rooms there booked up straight through Valentines Day." "Ya." agreed Dr. Bhatschidtkhrazzi. "Highland Park has become a mecca for the radicals." Was Dr. Bhatschidtkhrazzi making like Donald Trump? "Mr Trump says the Muslims are not welcome here." shot back Dr. Bhatschidtkhrazzi. "But he is pandering to the prejudice of his supporters with a gross and inadequate stereotype." "Studies show there are specific, well-defined demographic populations who are a clear and present danger to themselves and others. Religious extremists, drug dealers, whack jobs, to name a few. And they all share a common mental disorder. The clinicians classify them as douchebags with guns." "Don't be surprised if you're not familiar with the term." explained Dr. Bhatschidtkhrazzi. "The latest DSM-5 only recently identified these douchebags as anyone in possession of a weapon who would be hardpressed, if asked, to hold their nose -- let alone a firearm." Your LakeCountyEye did not know that. "I agree with Mr Trump that the borders need to be sealed." explained Dr. Bhatschidtkhrazzi. "But if we are serious about protecting ourselves, then it is the douchebags with guns who need to be kept out." Your LakeCountyEye felt safer (but not safe) already. Did Dr. Bhatschidtkhrazzi have any parting advice? "Remind your Operatives that if all our guns get douched, then only douchebags will have guns." Bonjourno, as they say in Benghazi, Italy. You probably don't know who I am. 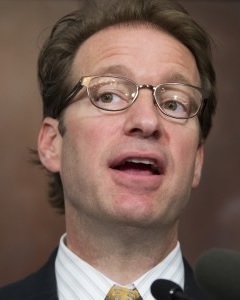 My name is Peter Roskam, the vestigial Congressman of Lake County. 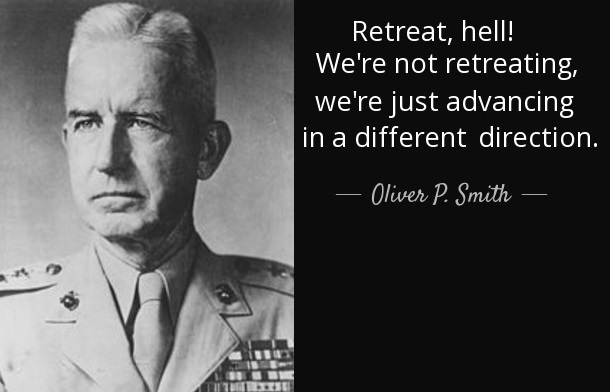 I've agreed to conduct this virtual townhall meeting for the benefit of this blog ... but more importantly this is my opportunity for me -- U.S. Congressman Peter Roskam -- to better get to know, and fraternize with you, my constituents. 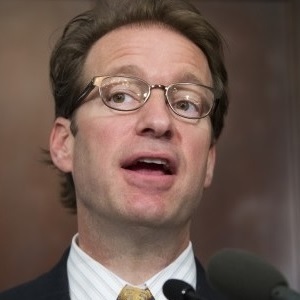 Now you are probably wondering, why am I -- Peter Roskam, 5-term Congressman, former Chief Deputy Whip and current member of the House Benghazi Committee -- worried about some teaparty deadender who is on the same ballot against a 5-term Congressman, Peter Roskam? Well, the answer in a word is two little words: Eric Cantor. Eric Cantor, you will recall was the 7-term Congressman and House Majority Leader, who got challenged by a teaparty deadender (some guy named Dave Brat) in the 2014 primary. Long story short, I've been told that Mr Cantor currently manages a 24-hour Chipotle in Bethesda. I, Peter Roskam, will let you in on a little secret. 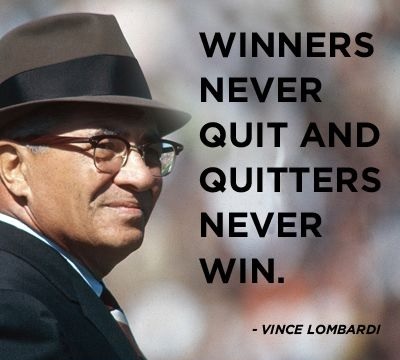 A wise man -- who was named H.L. Mencken (and not Peter Roskam) -- once said: "No one ever lost an election underestimating the intelligence of the American voter." 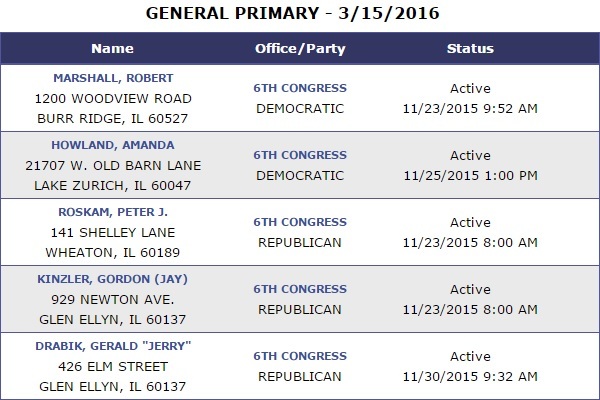 So when John Q Teaparty-Voter goes to cast his ballot against Peter Roskam next year, he won't know the difference between a Gordon Kinzler and a Gerald Drabik -- or between a Peter Roskam for that matter. This is an example of Peter Roskam's Divide and Conquer principle: divide the opposition vote, and virtually ensure that 5-term Congressman Peter Roskam will be well on his way to being 6-term Congressman Peter Roskam. This is Peter Roskam reminding you that if you keep true to your principles you will never have to see the insides of a D.C.-area Chipotle. Although Congressman Peter Roskam was absent, campaign worker David Rivera was there to carry the flag ... or at least wear the tee shirt. What does a Congressional Outreach Coordinator do? As far as your LakeCountyEye can tell, he is the guy you turn to when you want to reach out and knock someone off the ballot. Q: How many Chinese hackers does it take to hijack the Village of Lakemoor website? A: Ha ha ha, of course they do. Whenever fact is stranger than fiction, your LakeCountyEye summons Dr. I.M. Bhatschidtkhrazzi, Professor of sino.cyber.spycraft at the College of Lake County. "Ya," said Dr. Bhatschidtkhrazzi. "The tiny Village of Lakemoor has a bigger case of Chinese crackers on its hands than a fortune cookie factory." Your LakeCountyEye was at a loss to why the Chinese would hack the Lakemoor website. "They probably were not applying online for a building permit on a laundromat." 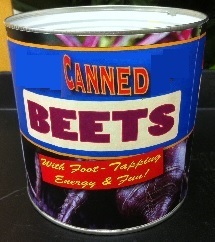 deadpanned Dr. Bhatschidtkhrazzi. "Some think it was a training exercise. When young Chinese boys and girls go to hacker school, they start out practicing on easy targets." "No, like the Village of Lakemoor." replied Dr. Bhatschidtkhrazzi. More than 50,000 vehicles pass through the intersection of routes 12 and 120 in Lakemoor every day. Village officials need 50 of those drivers to get caught by red-light cameras and pay $100 fines to hit this year's $1.8 million revenue target. "Ya, who hasn't hacked into a municipal website to expunge a red-light camera violation?" asked Dr. Bhatschidtkhrazzi. "But I daresay the Chinese have bigger fish in their gunsites. A fish to the tune of $1.8 million." 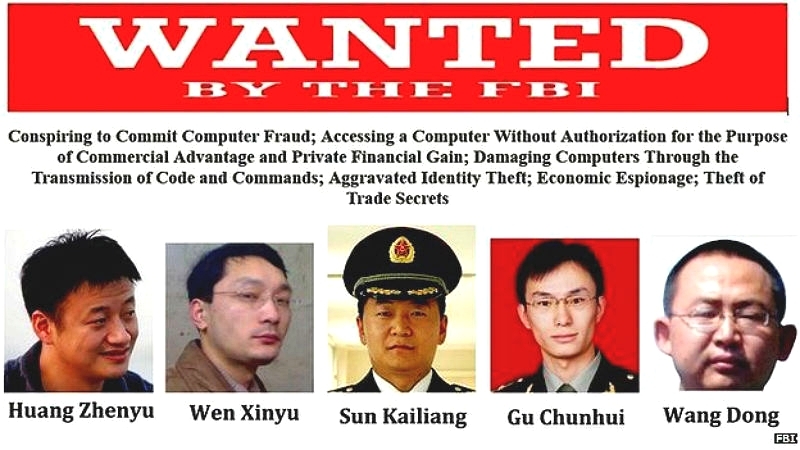 The Chinese hackers stole $1.8 million? "I said big fish. $1.8 million is small potatoes." chuckled Dr. Bhatschidtkhrazzi. "If that was me, I would hack into the camera system and get a livestream of the video feed." The Chinese are spying on Lake County? "Don't be silly." smiled Dr. Bhatschidtkhrazzi. "They could use that video to mail out their own traffic tickets." "Tell your Lakemoor operatives to watch their speed when they are on Route 12. And if they do get a ticket in the mail, be sure to doublecheck that the return address is in English." More than 50,000 vehicles pass through the intersection of routes 12 and 120 in Lakemoor every day. Village officials need 50 of those drivers to get caught by red-light cameras and pay $100 fines to hit this year's $1.8 million revenue target. That's 36 percent of Lakemoor's total expected income for this year. Your LakeCountyEye learned that at least as many drivers slid through the intersection at Rte 12 and Rte 120 during the blizzard last weekend. "We may as well put a freeze on our revenue generating efforts," said one official. "Everything from from now through the end of the year is icing on the cake." Where is the "Murder Capital" of Illinois? As a consequence of these grim statistics, refugees are fleeing gun violence in McHenry County. Most seek safety and a better life in Cook County. Combine that with porous borders around Lake County, and it is not hard to see that a humanitarian disaster is immanent. Your LakeCountyEye has learned that the Mayor of Cook County promised to block McHenry refugees from entering his County. Not to be outdone, Governor Bruce Rauner announced that Illinois would temporarily stop accepting McHenry County refugees, in the aftermath of these gun violence statistics. The International House of Pancakes may have to name a pancake in honor of Peter Roskam if he books any more international flights. 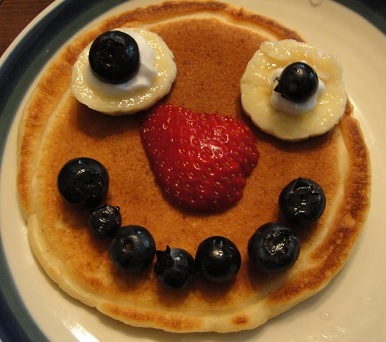 Beneath the pancake lies another hilarious LakeCountyEye Double Vision™! 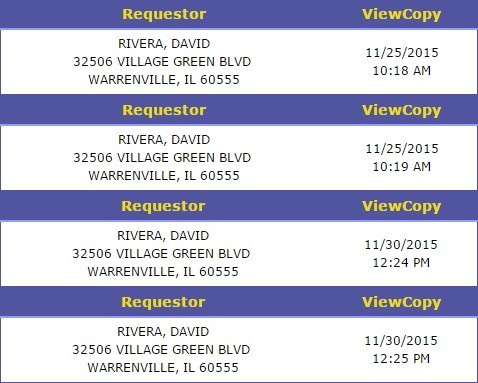 The address, as some Operatives may know, is in the DuPage County Airport. A sweet deal by any standard, Roskam maintains a constituent services office inside an airport terminal. Conventional wisdom notes that this makes the office both hard to find, and within a perimeter of airport security. Both of which will tend to discourage constituents from requesting services from their Congressman. Such as funding for Planned Parenthood and things of that nature. Your LakeCountyEye has learned, however, that nothing is further from the truth. One source explained that the Congressman's job simply requires him to spend a lot of time in airports. Willie Sutton said he robbed banks because that's where the money is. Your LakeCountyEye's source says that Peter Roskam's office is in the DuPage Airport because "that's where the airplanes are." Unless Peter Roskam legally changed his name to Paul Ryan, he is not Speaker of the House yet. Haha, Roskam, Lake County's vestigial Congressman, will have to wait in line to be third-in-line for the presidency -- the new Speaker of the House is Wisconsin Representative Paul Ryan. "He invited House Republicans to go in a different direction," Roskam said of Ryan. Roskam did not say which specific different direction House Republicans would be going. Based on his past itinerary, Roskam may be hardpressed to find a different direction to go. Your LakeCountyEye observes, however, that Peter Roskam has not traveled to outer space yet. Rep. Peter Roskam, a Republican from Wheaton, ranked second in the delegation with eight foreign trips. He and Adam Kinzinger each visited 13 countries, some twice. Roskam went farther afield — a look at air miles shows him with the most of any Illinois delegation member. What's next for Illinois's peripatetic Peter? A spokesman told your LakeCountyEye: "The Congressman is planning a fact-finding mission to Benghazi. He expects to be there some time before the 2016 election." What's a sign you're from the suburbs? 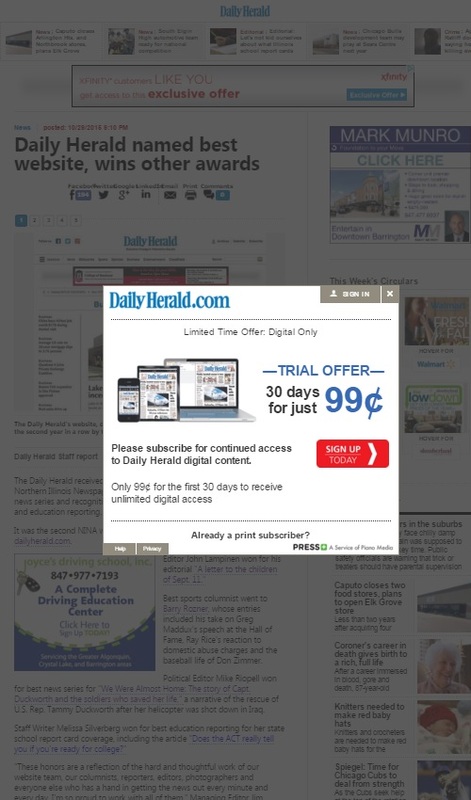 "Having appeared in the Daily Herald at least once in your lifetime." 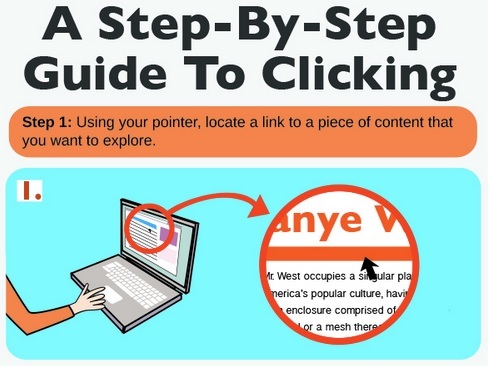 So says digital site Thrillist, which includes placement in our pages among other qualifiers, such as having gone to Six Flags Great America with your high school physics class and knowing your exact proximity to the nearest Portillo's. Can free media be that easy -- who knew? "I served with G.I. Joe. I knew G.I. Joe. G.I. Joe was a friend of mine. Sir, you're no G.I. Joe." Look for your LakeCountyEye in a Daily Herald near you. 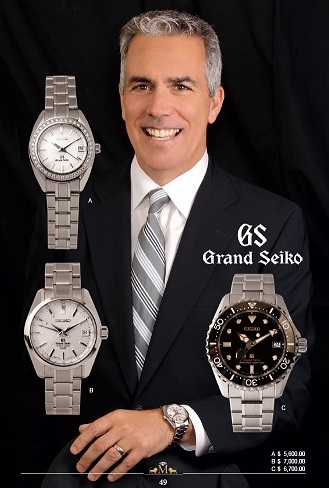 Would You Buy a Rolex from this Man? 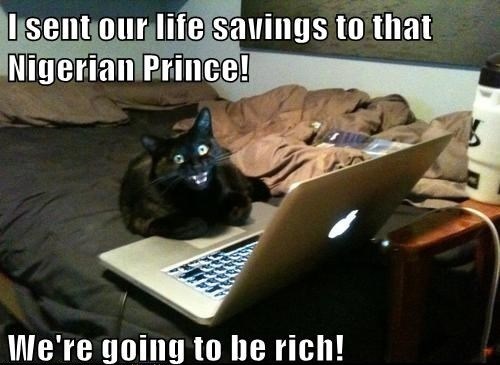 Being a millionaire blogger has its advantages. 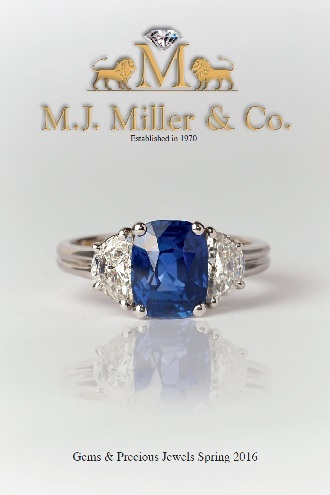 The mailman still delivers junk mail, but it is hugely classy junk mail. Do models get to keep the merchandise they pose with? This is probably a question only a millionaire blogger would ask. Police are warning Lake County residents about a telephone scam in which callers say they're from the Lake County sheriff's office. The calls appear on the caller ID as a telephone number used by the sheriff's office, making appear to be a valid, the sheriff's office said in a news release. The caller then tells potential victims that a complaint has been filed against them and gives them the phone number of an "investigating officer" to call. One law enforcement official called your LakeCountyEye to pass along a warning: bad guys will carefully stage their exploits. And while they won't deceive trained law enforcement officials, unsuspecting individuals are often easily fooled. "It is not just victims who end up losing their money. A Major Crimes Task Force investigation can cost the taxpayers $300,000 or more from the git-go." Everyone is asked to be vigilant and to exercise some common sense precautions: "If it seems too good to be true, it probably is." The Daily Herald received five first-place awards Thursday in the annual Northern Illinois Newspaper Association contest, including best website, best news series and recognition for its editorial writing, sports column writing and education reporting. Note to Ops: Never bury your lede. Children are born with the same potential to become successful learners. Beginning at one year of age, however, significant deficits begin to show in children from high-risk environments. 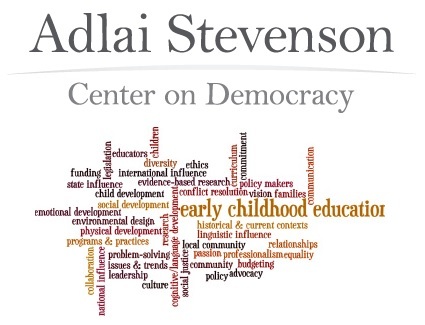 Research shows there is no single investment that can break the cycle of poverty more effectively than a high-quality early childhood education. Children who have access to high-quality early childhood education are academically and socially more successful in school. Nancy Ronquillo, President and CEO of Children's Home and Aid Society, David Lloyd, Director of Fiscal Policy, at Voices for Illinois Children, and a parent of a child receiving services at the Jerri Hoffman Child and Family Center in Carpentersville, Illinois will lead the discussion. The panel will be introduced by former State Representative Kathleen Ryg. Like an unstoppable force against an immovable object, Lake County drivers encounter a fundamental paradox every time they get in their cars. There are not enough roads to get to where they want to go. And yet, in Lake County, there is nowhere to go. Scheduled for Nov. 4 from 5 to 7 p.m. at the Hawthorn Woods Aquatic Center, 94 Midlothian Road, the informal meeting will give all interested parties an "opportunity to provide comments on the preferred alternative, which includes a signalized intersection, a five-lane roadway section, and bicycle and pedestrian facilities," according to an invite from Lake County DOT. Note to Ops: A joke is only a joke. But a good headline is clickbait. Note to Ops: Time is limited. Professional cut-ups have been asked not to attend. Operatives may need pencil and paper to solve this story problem: Take one career Washington politician. Combine the politician with one high-profile Congressional investigation into misdeeds committed in the far-east. What do you get? Ops who answered the Benghazi Investigation are wrong. The correct answer is the House Ethics Committee probe of Peter Roskam's 2011 trip to Taiwan. The House Ethics Committee announced Friday it was probing Rep. Peter Roskam (R-Ill.) without detailing what was at issue. Roskam's office disclosed that at issue was a trip he took with his wife to Taiwan in October, 2011 -– at a time his daughter was living in Taiwan. 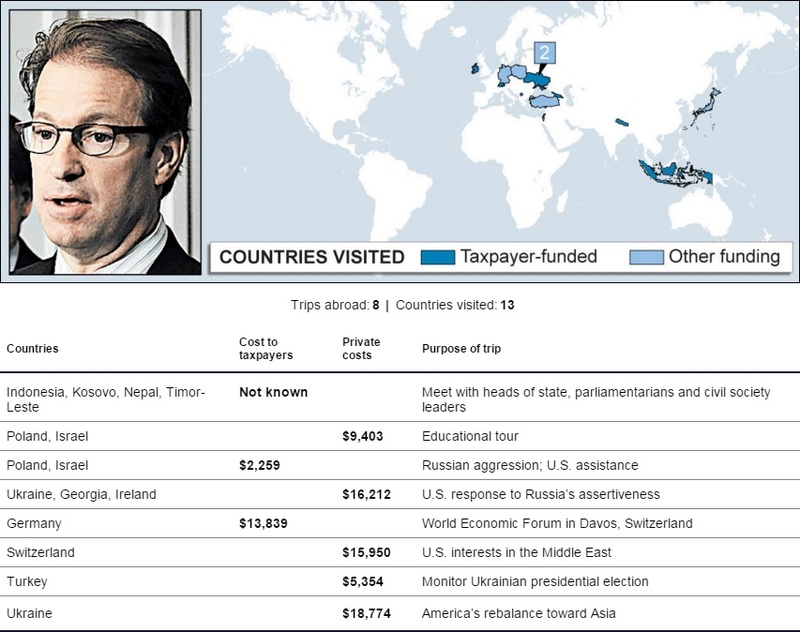 At issue is whether the $25,652 costs for the trip were paid for by the Chinese Culture University -– a permitted funder -— or as the independent Office of Congressional Ethics asserts, the Roskam visit was "organized and conducted by the government of Taiwan, with little to no involvement by the University," which would make it an impermissible funding source. Roskam would have gotten off with a slap-on-the-wrist. But since the government of Taiwan did not return calls from the Ethics Committee, he got off scott-free instead. As if to show that he hadn't only benefited from an expenses-paid vacation on Taiwan's dime, Roskam has been showcasing a recently-acquired mastery of origami -- the oriental art of paper folding. 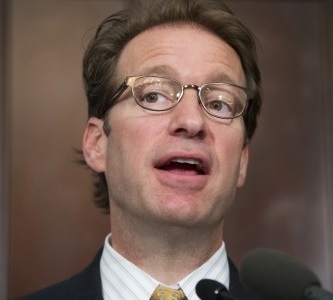 What's next for Peter Roskam, the Edward Scissorhands of Capitol Hill? NRA members will learn how to fold an Illinois No-Firearms sign into a 100% civilian-legal semi-automatic weapon. In a testy exchange at the start of Thursday's hearing, Republican Rep. Peter Roskam of Illinois appeared concerned that he did not have Clinton's full attention. During a lengthy question about a 2011 memo that described her as "the public face of the U.S. effort in Libya," the former secretary of state began flipping through her notes, prompting an irritated reaction from Roskam. "I can pause while you're reading your notes from your staff," he said in a somewhat patronizing suggestion that Clinton was relying heavily on rehearsed talking points. During his time questioning Werfel, Rep. Peter Roskam (R-IL) began berating Werfel over the heavily redacted documents members of Congress received, at one point dramatically crumpling the paper in his hand and exclaiming, "this is junk!" Word on the street is that Roskam is rehearsing a new setpiece, where he dramatically pushes the US Affordable Health Care Act through a wood chipper. One source told your LakeCountyEye that Roskam's secret is that he knows what the ladies really like: "Congressman Roskam understands that women want to be told who is boss. Hillary Clinton got the Peter Roskam treatment this week, and she loved every minute of it!" ROSKAM: Well, you just recited the Clinton doctrine to us, and let me tell you what I think the Clinton doctrine is. 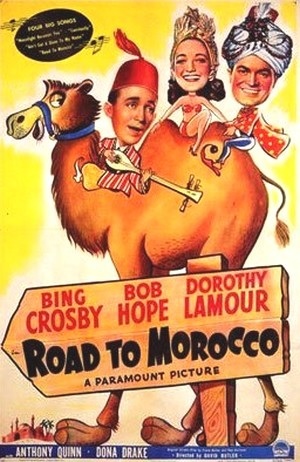 I think it's where an opportunity is seized to turn progress in Libya into a political win for Hillary Rodham Clinton, and at the precise moment when things look good, take a victory lap, like on all the Sunday shows three times that year before Gadhafi was killed, and then turn your attention to other things. I yield back. CLINTON: Well, Congressman, that is only a political statement which you well understand, and I don't understand why that has anything to do with what we are supposed to be talking about today. The same source told your LakeCountyEye that the ladies have an eye for upper body strength in their representatives. 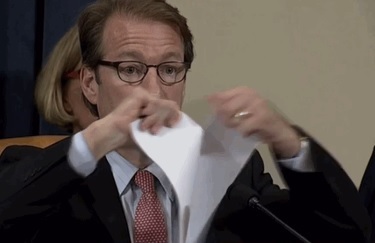 "Just look at how Roskam ripped apart that piece of paper for Hillary. Too bad he didn't have one of his phone books handy!" The source also said that every woman is encouraged to vote for Peter Roskam, however "they must be at least 18 to participate." Lake County Circuit Court Clerk Keith Brin on Tuesday announced plans to seek re-election in 2016. Brin, a Republican from Highland Park, was elected to the post in 2012. A Democratic candidate hasn't yet surfaced. One observer told your LakeCountyEye, "There is still six feet of water in the Circuit Court basement. 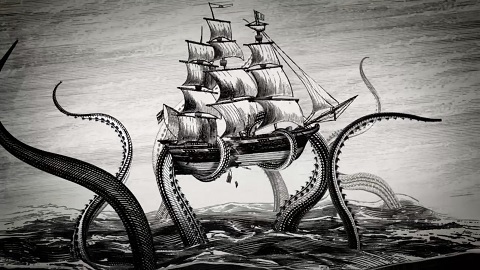 It's anybody's guess what is swimming around down there, below the surface." HOW MANY PEOPLE IN YOUR COUNTY HAVE CONCEALED CARRY LICENSES? On 10-07-15 at 1501 hrs, a Harvard Resident (f-37 yoa) reported they received a message about winning a large amount of money. The resident sent $250 via a wire transfer to Nigeria as well as personal identifiers to claim the winnings. The resident later learned it was a scam. Willie Sutton once said he robbed banks because that's where the money is. 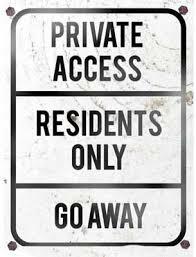 But one criminal observer recently told your LakeCountyEye they target McHenry County because "that's where people from McHenry County live". Operatives are asked to observe sensible precautions when visiting McHenry County. There is a old saying in Lake County: "If the Route 53 Extension did not exist, it would be necessary to invent one." Opponents of the proposed Route 53 extension lined up before the Lake County Board on Tuesday to criticize what they described as a lack of transparency and public input on the issue, with one speaker calling on the county to conduct an advisory referendum in 2016 to get an updated take on support for the long-debated concept. The Lake County Board was urged to slate a new Route 53 Referendum. Only this time they needed to spell out how much it will cost, both in dollars and against the environment. Also, to ask the voters during a high-turnout, Presidential election -- and not during an April, off-year election. 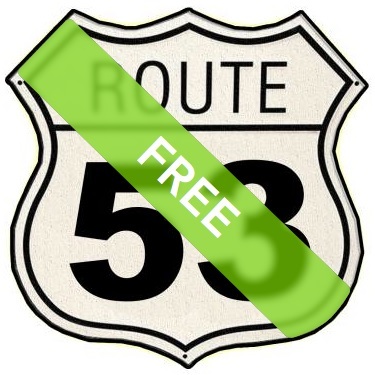 "I don't want to get into a debate about Route 53." Note to Ops: Nothing to see here. Move along please. A senior aide to another House Republican who has worked with Roskam thinks he might replicate the ascent of former House speaker Dennis Hastert, known as "the accidental speaker" because of how he took advantage of an unexpected vacancy in 1998. "Hastert's path to leadership must be on his mind," the aide says. 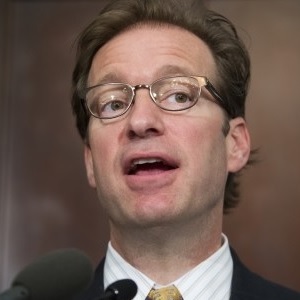 Peter Roskam: The Next-Next Speaker? You don't think this is another hilarious LakeCountyEye Double Vision™? Then bite me! The identity of the other fellow, in the polkadot shorts, and getting his rear-end bit, is unknown. One thing is certain, someone is openly bending the Hastert Rule. Your LakeCountyEye will keep you apprised when further developments warrant. 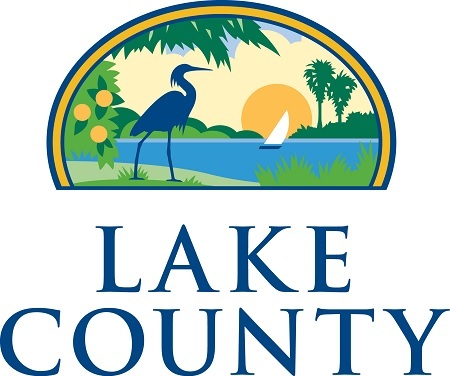 Other than having been liberated by coalition forces during Operation Desert Storm, Lake County has little else in common with the constitutional monarchy of Kuwait. Nonetheless a delegation of Kuwaitis are here to see how traffic is managed in Lake County. About two dozen Kuwait National Police and Traffic Engineers visited Lake County Monday as part of a United Nations program run through the Northwestern University Center for Public Safety. One source with his nose under the tent told your LakeCountyEye, "After we get a down payment on the Route 53 Extension, we got a bridge to show them in Brooklyn." That's all your LakeCountyEye has. مواصلة التحرك لا يوجد شيء أن نرى هنا. Thomas Pickering, Ambassador to the United Nations under President George H.W. 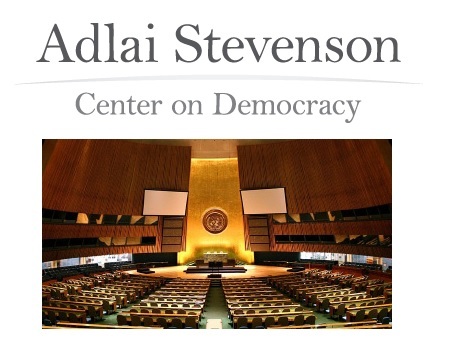 Bush (1989 - 1992) will speak about the wide ranging mission of the United Nations and its relevance in today's dynamic, interdependent, nuclear world. He will also present ideas for strengthening the U.N. as it moves forward. Veterans Day may be November 11, but the Daily Herald is already in the tank for Congressman Robert Dold. Word on the street is that Robert Dold wants to be remembered as Lake County's disruptive legislator. A source at the Daily Herald explained it this way: "Dog bites man is not news. Dold bites Boehner is news." 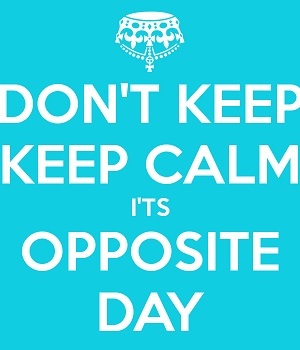 Your LakeCountyEye is hardpressed to disagree. Dold Says: "It's True, We Put Together a Special Benghazi Committee and Hillary Clinton's Numbers are Dropping!" Look for your LakeCountyEye, disrupting the rabblement near you. There is no truth to the rumor that Lake County Sheriff Mark Curran resigned last week as Speaker of the US House of Representatives. Point in fact, it was Speaker of the House John Boehner who resigned. the last time the US Congress was sucked into a galeforce power vacuum, Peter Roskam, Lake County's vestigial Congressman, got swept out of his Majority Whip leadership post. I'm going to work hard to make sure we get the leadership we need, not just settle on the fastest, easiest choice. Before electing a replacement for House Speaker John Boehner, Rep. Peter Roskam, R-Illinois, gained the support of enough colleagues Saturday to force a meeting to "confront the underlying issues" that led to Boehner's resignation. Though Roskam wasn't announcing a bid for a leadership spot, the move by the Wheaton lawmaker sets the stage for a possible run in the wake of the shuffle triggered by Boehner's surprise announcement Friday he'll leave Congress at the end of October. It is not every day a sitting speaker of the House of Representatives steps down because of divisions within a deeply conflicted Republican majority. If we launch headfirst into leadership elections like this is a typical succession, without ever taking the time to diagnose our current ailments, we won't heal the fractures in a conference that has thus far proved unleadable. Do clean up; make hygiene a priority. Don't talk about your Ex-Speaker. Do not be judgmental if he has bad hair. Do offer to pay the bill. Finally, there are plenty of fish in the sea, I know. If the choices are overwhelming, my door is always open. I'm here to help you. 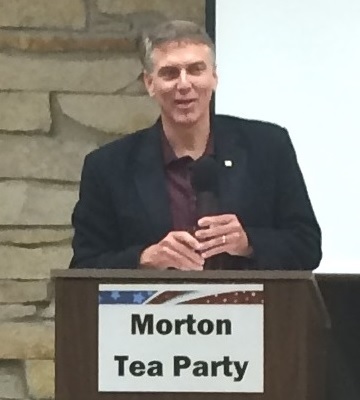 last week the Daily Herald reported that Congressman-emeritus Joe Walsh will be challenging Randy Hultgren in the 2016 GOP Primary. "Are you, or someone on your behalf, circulating petitions to challenge Hultgren in the 14th CD?" Walsh's response via text was four letters: "Nope." 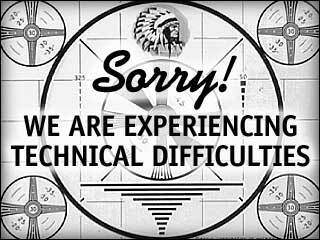 Your LakeCountyEye regrets the error, and in the future will refrain from repeating unsubstantiated campaign rumors. In related news, fresh on the heels of dropping out of the race for Lake County State's Attorney, Lake County Sheriff Mark Curran announced that he will be suspending his campaign to challenge Randy Hultgren the 14th Congressional District. Lake County Sheriff Mark Curran has ended his run for state's attorney, just weeks after announcing plans to challenge incumbent Mike Nerheim in the 2016 Republican primary. Mike Nerheim has done nothing to raise the caliber of the office. Today I made an opening statement, but I will be presenting evidence throughout the campaign that change is needed. With Mark Curran now the last man out, there is no one left running for Lake County State's Attorney. 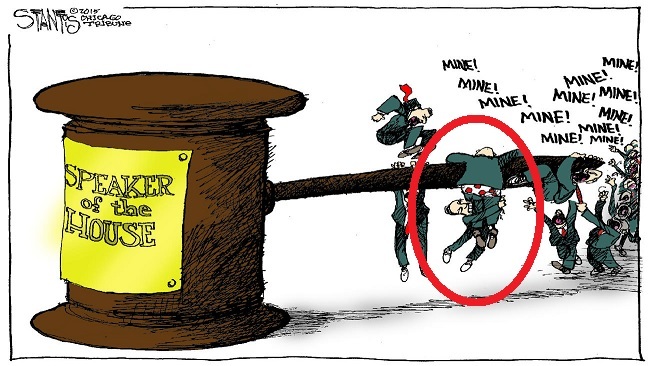 One keen observer noted this could benefit the County in the long run: "If we quitclaim the State's Attorney office, Lake County will see considerably fewer wrongful conviction suits in the future." Chicago's Green City Market has been honored as one of America's Top 10 Farmers' Markets by USA Today. Located in Lincoln Park, the independent nonprofit market was founded in 1998 by the late chef, author, and entrepreneur Abby Mandel to encourage local, sustainable agriculture. Board member Elizabeth Richter and Executive Director Melissa Flynn will share the story and mission of the market, and the contribution the market and its vendor-farmers make to ensure Chicagoans access to locally produced, healthy food. 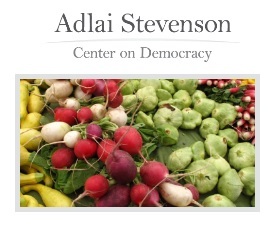 The market is dedicated to connect local farmers and producers to chefs, restaurateurs, food organizations and the public. 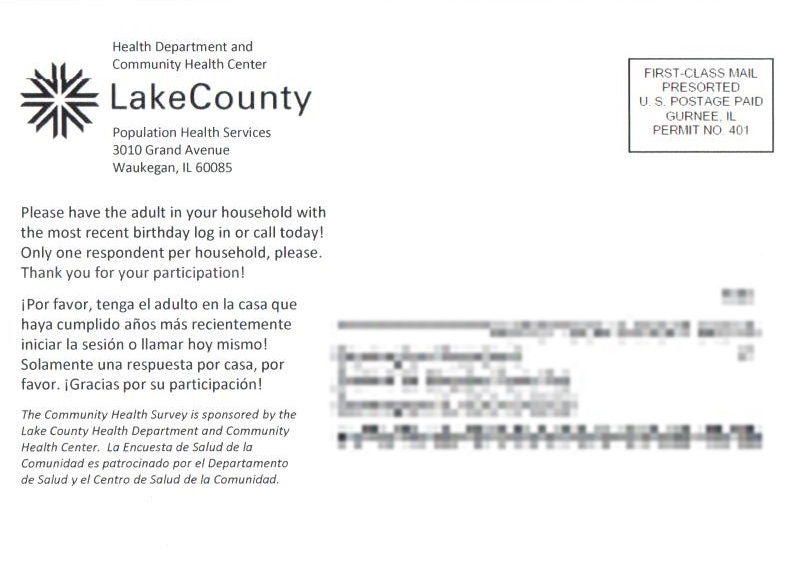 The Live Well Lake County Steering Committee and Lake County Health Department and Community Health Center are sending invitations for a health status survey to 5,000 households in the county during the first week of September. 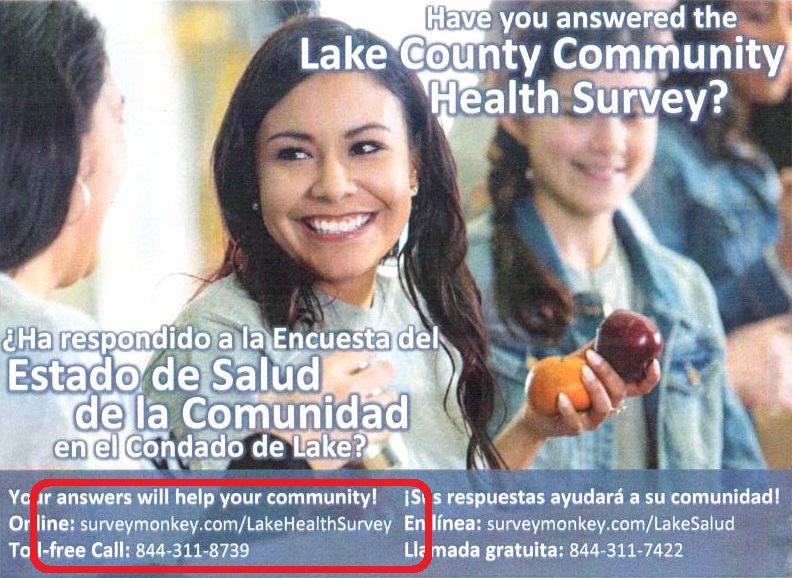 These randomly selected Lake County residents will provide vital health information that will help guide the Department's and partners' community health improvement plans, supporting better health outcomes for all in Lake County. 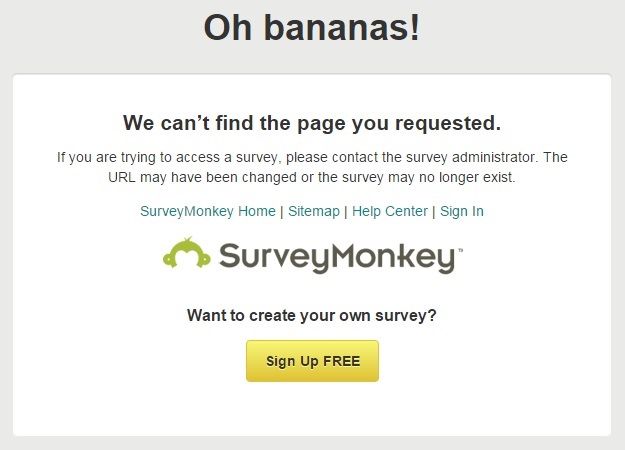 Note to Ops: Your results may vary.